Neil has struggled a lot before he established himself as one of the top influence in the Internet Marketing world. Neil is basically known for his content marketing approaches that has helped top guns like Amazon and HP to improve their sales and grow their business. Neil was born in London, England back in April 1985, to a mother who had her own day care business and to a father who had an average job. However Neil always had an impression on entrepreneurship as he always dream of a wealthy lifestyle for himself and his sister. It was his first online venture when he stated a site like Monster.com. Since he was looking for stable income and searching for a job in Monster.com, he though about copying their business model and starting a similar web business. As a result he spent around $5000 for development and started a similar .com business. As a matter of experience, he realized that he would not make any profit without marketing. So as a result, in order to promote his portal, he hired some internet marketing firm and worked with them until knowing that their service provided him no profit. So he fired them and hired few other firms, only to discover that they offered nothing to a little help. As a result of getting scammed by some internet marketing service providers, Neil himself decided to learn internet marketing tactics and started to use it on his ‘Advice Monkey’, the same online portal that he invested $5000. The result started to appear, however he did not continue with his portal. Once, while giving a speech on his college class, he decided to deliver a speech on how search engines worked. After his speech, he was able to attract a friend who offered him to convince an electronic venture whom him locked in around $3000 a month deal to offer them internet marketing service to improve their online sales and presence. It was his entrepreneurship skills that has him in the position now, but everyone has rise and fall. After providing good results for the electronic company, he was able to attract interest from the owner’s son who had an advertisement agency and got him opportunity to attract some more clients. After making some income with his internet marketing firm which he partnered with his sister’s husband, he collected some money and invested on a web hosting company which never worked out for him. He invested around a million dollar on the web hosting company which did not work out for him. Since the investment did not work out for him and his partner, they decided to take their hands off and founded another company, Crazy egg. Neil has his hands on different companies like Kiss metrics. 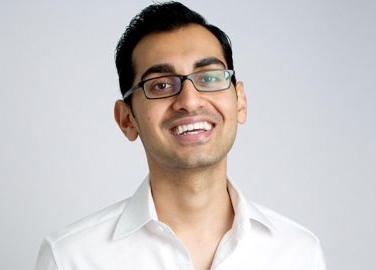 He has his blogs like Quicksprout and Neilpatel.com which he generates leads to attract customers to his consulting and internet marketing business. He also offers helps to business to help them grow their revenue and take a part of it. Neil also has his courses which he offers to get fees. Besides, he also generates income from speaking in an events. Recently Neil started a challenge where he announced to make a $100,000 a month income on a brand new niche which he was not familiar with, without using any of his personal relation as a blogger and succeed. As he announced, he was able to generate over 100,000 $ on sales in the time of 12 months. At the end of the 12th month, he was able to generate revenue worth $121,492.65 with 218,811 visitors on his nutrition blog which he started from the scratch. The main source of revenue was from a fish oil product that he promoted on Amazon. Additionally, he also made sales from affiliates. At the beginning, he sold some products for free or for a reasonably low price to attract some reviews on Amazon to help and build positive impression on the product. One of the problem he faced was negative reviews that his competitors placed on Amazon to make a bad impression on the product. To make sure that these negative reviews were not the ones to be shown on the top of the product, Neil used an approach where he asked his email list to up vote the positive reviews to make sure that those were the ones visible. The blog attracted over 400 subscribers everyday, and has over 20,000 subscribers till date. The email list were often introduced with some affiliate products and they have been working good. Basically there are very much positives to take from Neil. Even a successful entrepreneur like Neil who now helps big venture like HP and Amazon to improve their business struggled once. Neil not only lost some money during his beginning, he also spent a lot of time to learn online business. Had he quit on the very beginning, he would now have been engaged on some 10-5 job like a common people and you might be doing something else at this time apart from reading this article. The main thing to take is that you should never give up as results follows the hard work. Although Neil was making some million dollars every year from his consulting firm, he was not satisfied with it and followed his dream to work on something that fancied him. So, you should always follow the path of your interest and satisfaction and success comes following you on your determination. For internet marketers and business owners, you could take an inspiration on how Neil influences people to generate leads through content marketing. You should not ignore the fact that content marketing is one of the main assets to generate sales and leads to your business. You should start using content marketing as an approach if you are not using it already. Neil had an interesting story on his life, from fall to rise, to fall and to rise but he never gave up which has helped him to increase his net worth value to something that exists today. His story is very inspirational. Wherever he gomoney comes with him. Already reached the saturation point..
great information . thanks for sharing.